Even stranger than the sound itself was its apparent location. 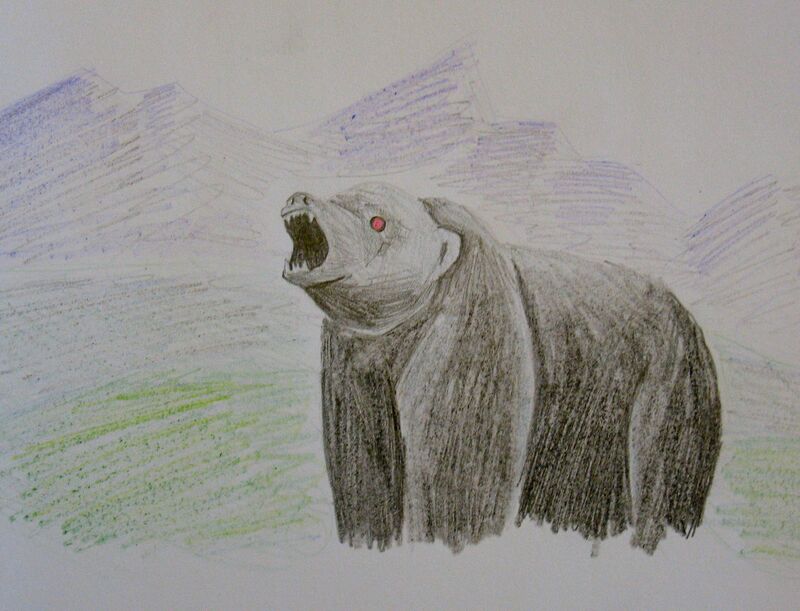 The roar would come from far away, then just a minute later seem to bellow from a distance of mere meters, then sound again from some intermediate location. Surely no large mammal could move that fast. I began to posit a number of the creatures, all calling at each other to defend their territories. But no large mammal should exist in such high densities in our forest either—certainly not the bears or the cougars, at least. The cows? Cows were everywhere, but could a cow really summon such a sound from its domesticated throat? Familiarity soon leached the scariness from the sound. It was just another part of nighttime: put out the fire, brush your teeth, hear the robot bear roar. I thought with amusement of how much it sounded like the noise one might hear in a television program about some supernatural beast. (If you’ve seen the Hound of the Baskervilles episode of Sherlock, that’s the sort of thing I’m talking about.) Those sound effects had always seemed to me to have an unrealistically robot-like quality. Apparently it was realistic after all. Our enlightenment came accidentally. One evening, one of my field assistants was listening to bird calls on his phone, when suddenly the robot bear cried out—from his phone. 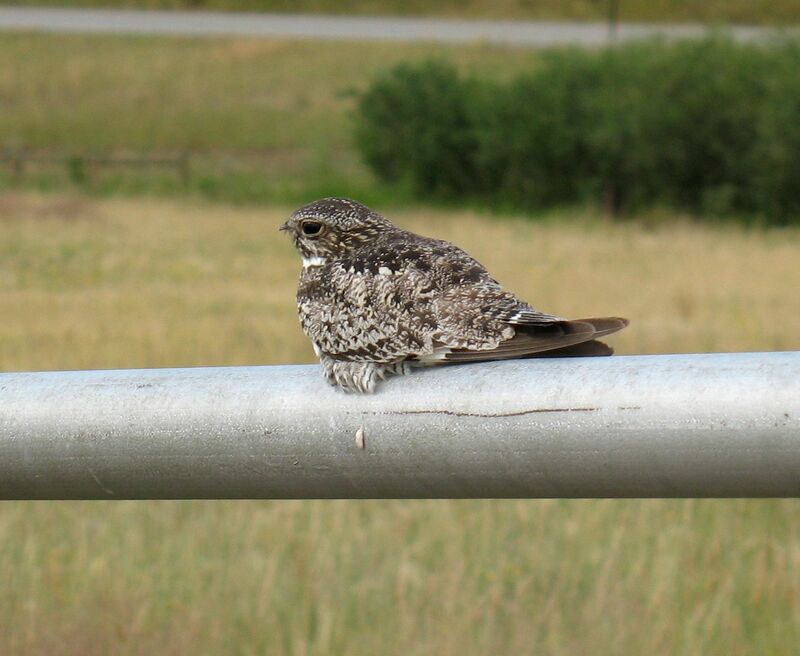 Our robot bear was actually a Common Nighthawk. I had seen Common Nighthawks around, of course: dim shapes in the fading light, just impressions of long sharp angled wings with white patches flashing through the air almost too quickly to resolve. 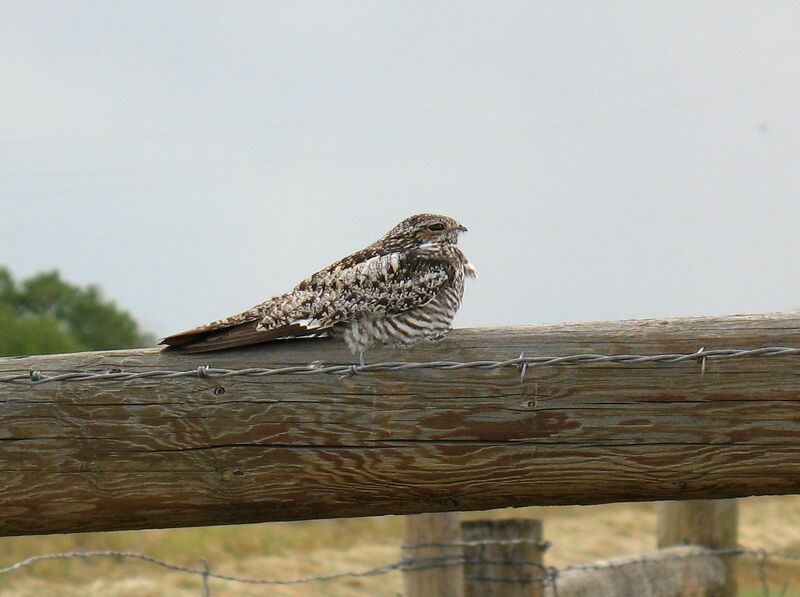 I have a deep fondness for all the nightjars, with their big eyes and wide mouths and daytime impressions of dead wood. They nest on the ground, like juncos. They are among the most alien-looking of birds; their scientific family name, Caprimulgidae, comes from the Latin for goatsucker, since it was once believed that they sucked milk from goats. But, even granted all the charisma and strangeness of these birds, how could they be making such a big sound? I can’t find a recording on the internet that really does the boom justice: they all seem to lack that sharp, plaintive, tormented edge. And it just can’t be loud enough, big enough, coming from computer speakers. But here’s the best I have found: go to this site, about nighthawks, and click on the fourth of the five audio options under “Listen.” (It’s the one labeled “peents & booms.”) The first thing you hear is the peent call, but there are two booms in the recording too. Miller AH. 1925. The boom-flight of the Pacific Nighthawk. The Condor 27(4):141-143. *As usual, reading such old scientific papers is a treasure trove of delights. Miller talks of “the curiosity of the nighthawks,” and gets them to dive at him by waving his hat. The paper immediately following his in the journal is titled The Winking of the Water Ouzel. This entry was posted in field work, general science-y stuff, miscellaneous and tagged animals, bear, birds, camping, mystery, nature, nighthawk, robot, sound by toughlittlebirds. Bookmark the permalink. Love the video! Wish that would happen to me.